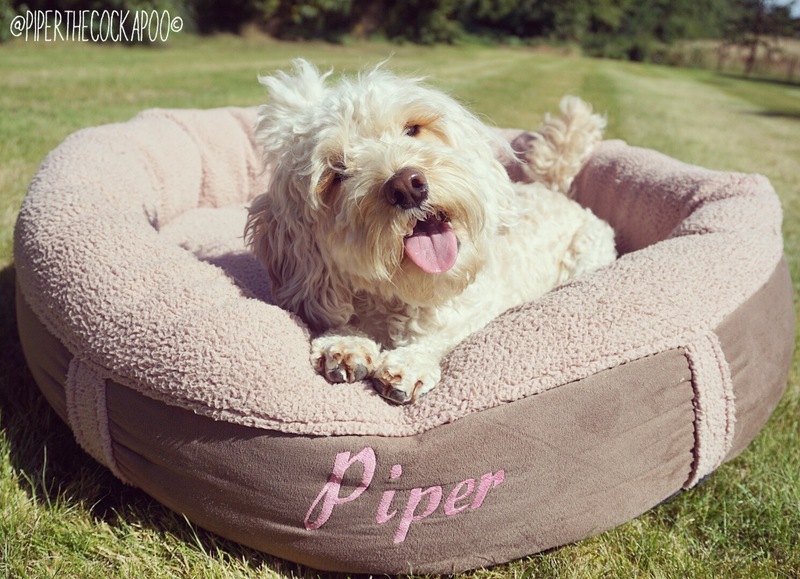 I bought Piper’s Wolfybed almost a year ago now. It’s still in excellent condition & it is certainly Piper’s favourite place to sleep (when she’s not snoozing on my bed! ), so we thought we’d share our review of it. 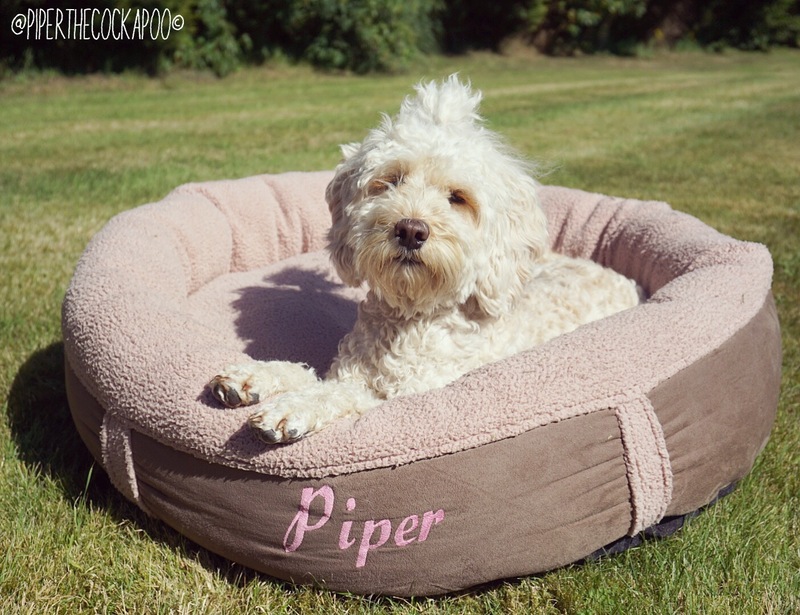 Piper has the Cookie Dough Brown Fleece Luxury Dog Bed in the medium size. 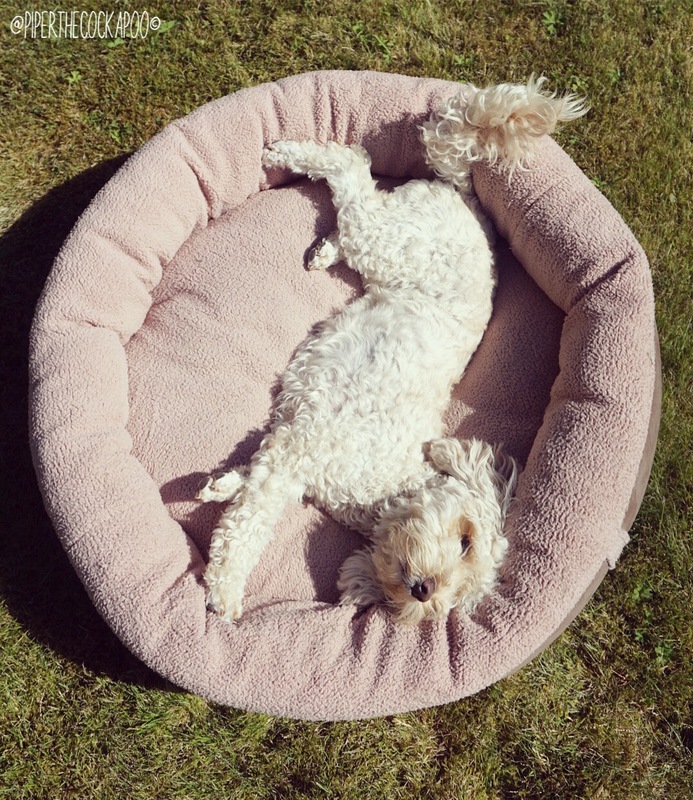 This is plenty big enough for her, in fact people often mistake it for Teddy’s bed as it is quite large, but that’s just the way she likes it- perfect for sprawling out in! 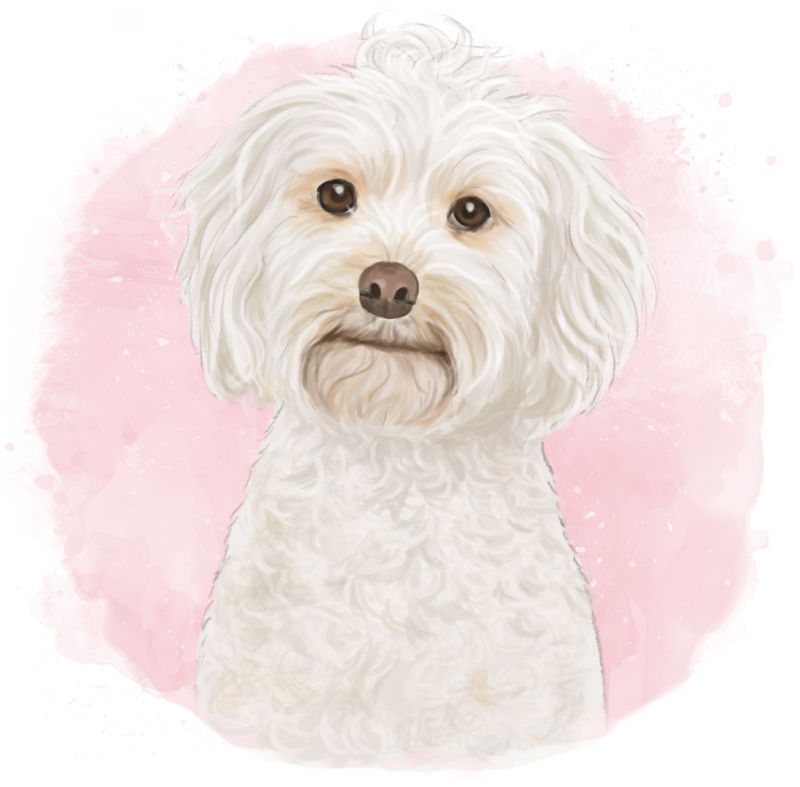 Piper weighs 6kg and the length of her back is around 40cm, to give you an idea on size. 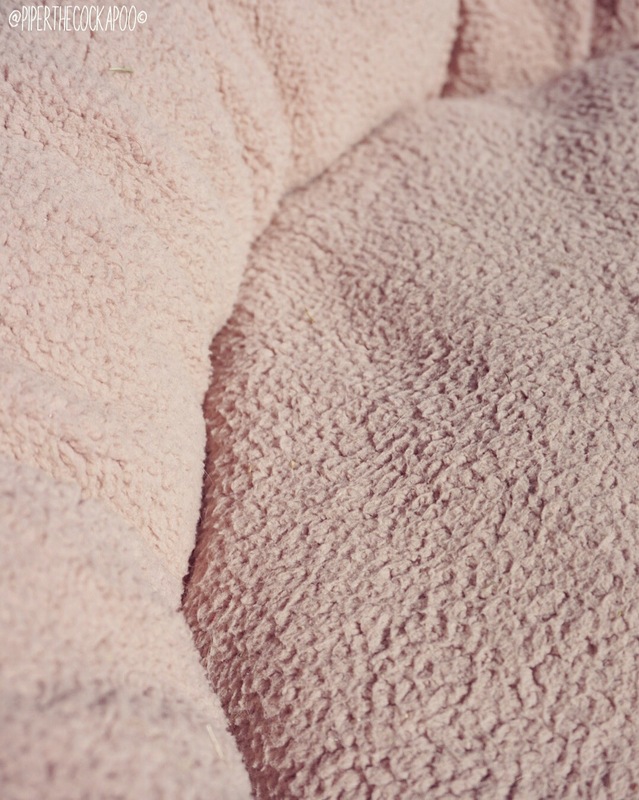 The outer, brown suede-style material is complemented beautifully by the pink-tinted fleece lining. 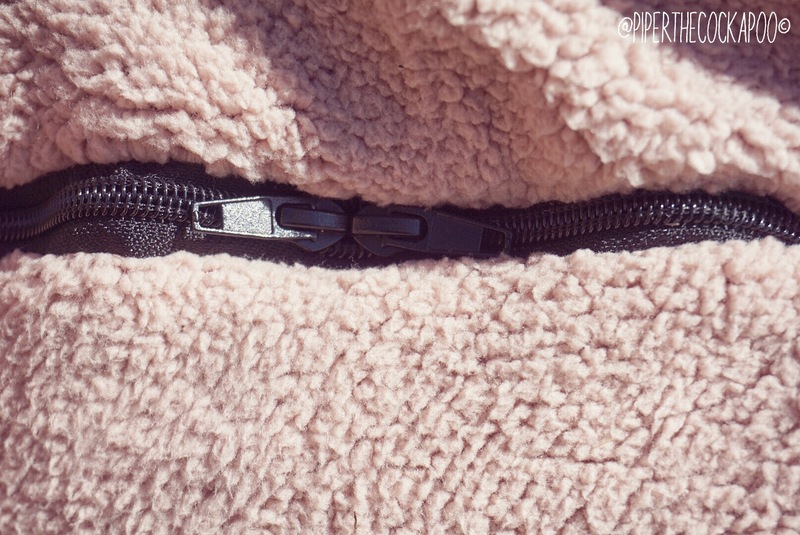 The fleece is super soft to touch & although it is tinted slightly pink, I don’t think it’s too girly to exclude the product from male dogs. The bed is very deep and therefore extremely comfortable. I can honestly say, hand on heart, that I would probably sleep in it, if it was big enough for me to fit! The bed fits in perfectly with the home decor, which is something really important to me. The whole bed zips apart easily and the cover is machine washable. It’s not advisable, but we have also washed the inside cushion on the bed and it came out fine. We just had to make sure the cushion was aired properly. 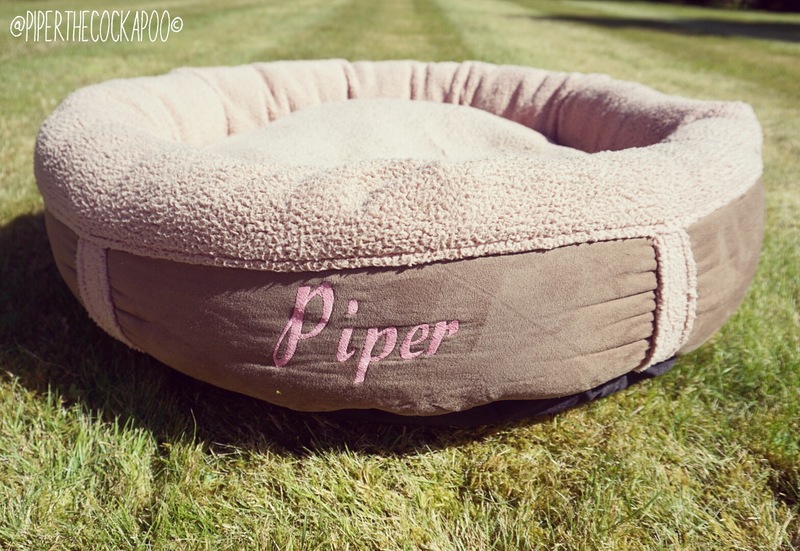 I paid an extra £8.50 to have the bed personalised with Piper’s name. I can’t remember the font we chose, however I have a feeling that it was the ‘Sophie’. 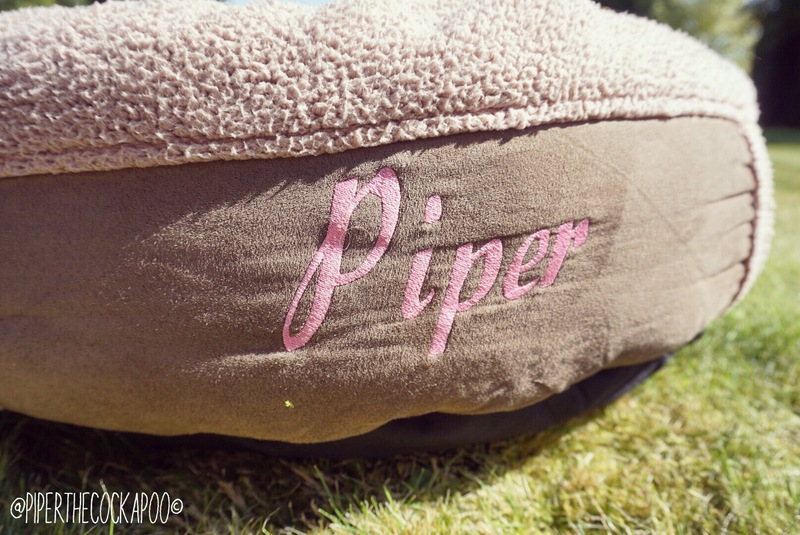 Piper’s name was embroidered in the ‘Soft Pink’ colour. There’s quite a range of font styles & colours to choose from, so there’s something to suit everyone’s taste! 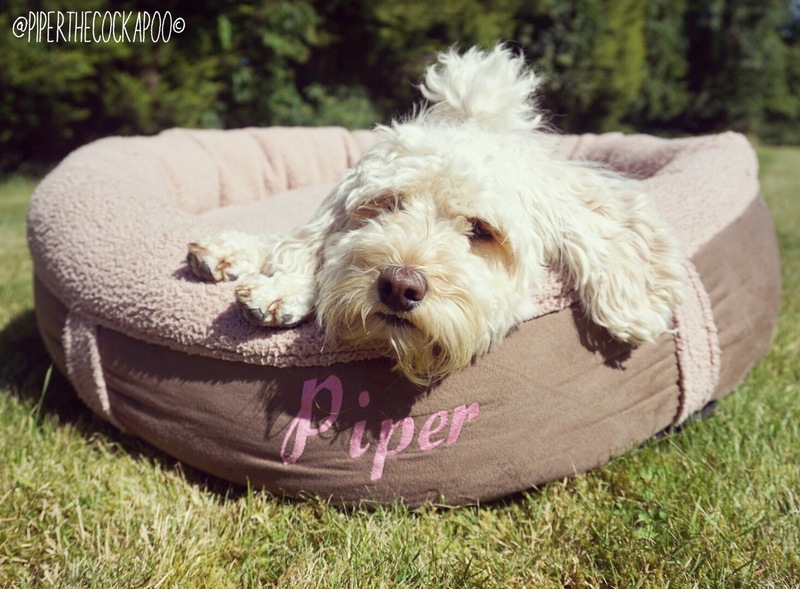 Being the spoilt pooch she is, Piper has to have a bed which has a raised side for her to rest her head on. So the round design works really well for us! There are also a rectangular shaped beds & flat crate mats, as well as the premium collection. A whole range to suit everyone’s needs! 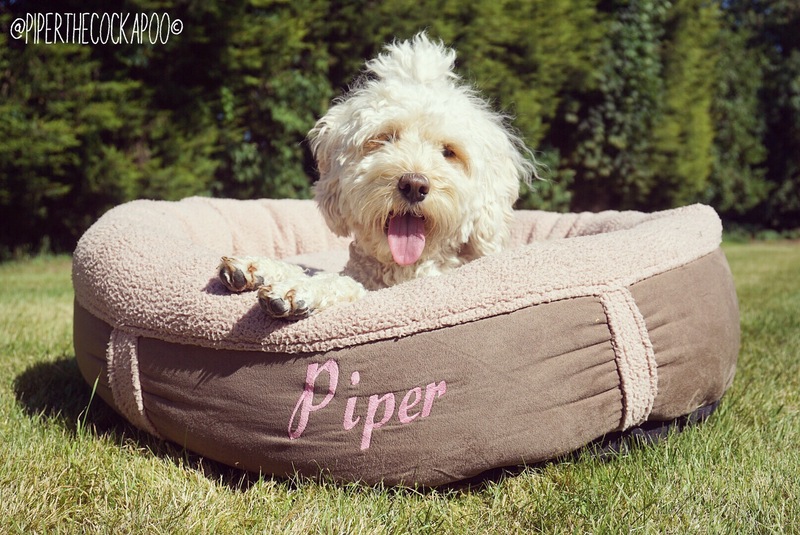 The style of bed which Piper has comes in 2 other colours, Caramel & Winterberry. 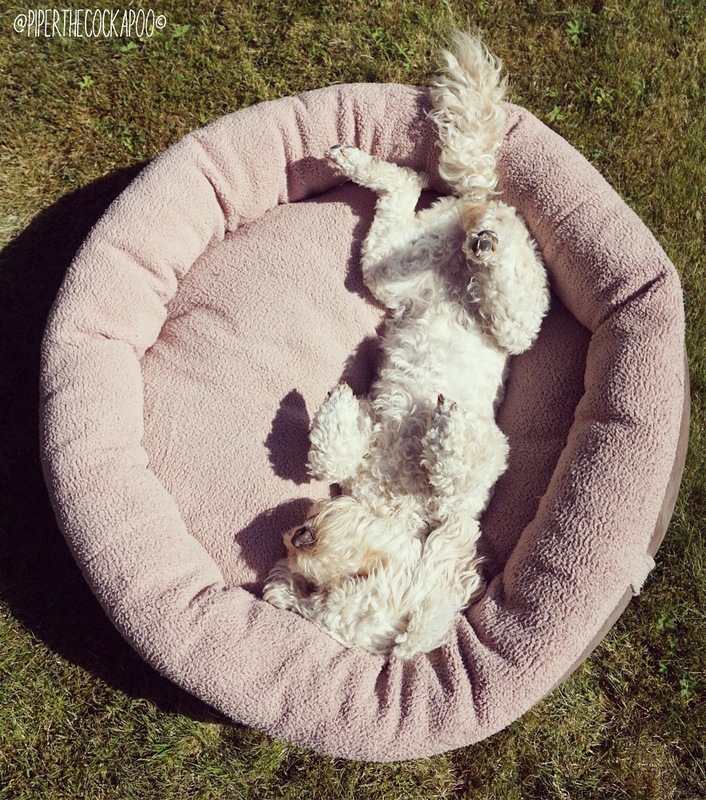 I think we’ll be buying Teddy a bed in the winterberry colour soon. When I bought the bed, I also bought a matching Fleece Lined Blanket, personalised too with her name on. Piper loves snuggling up with the blanket over her on chilly winter nights. 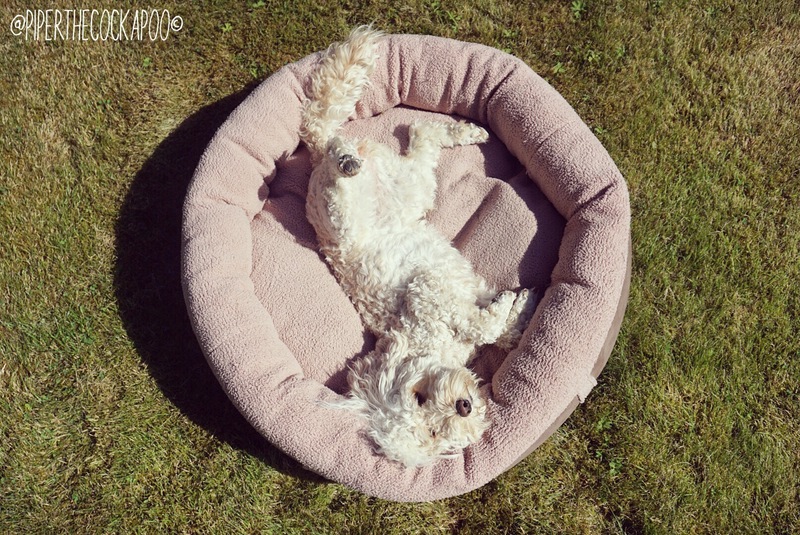 If you think you would also like to treat your 4 legged friend to a Wolfybed, then you can save 10% with the discount code WOLFYFB10. The team at Wolfybeds have always been really helpful when I’ve spoken to them, just give them a ring or send them a message on Facebook. 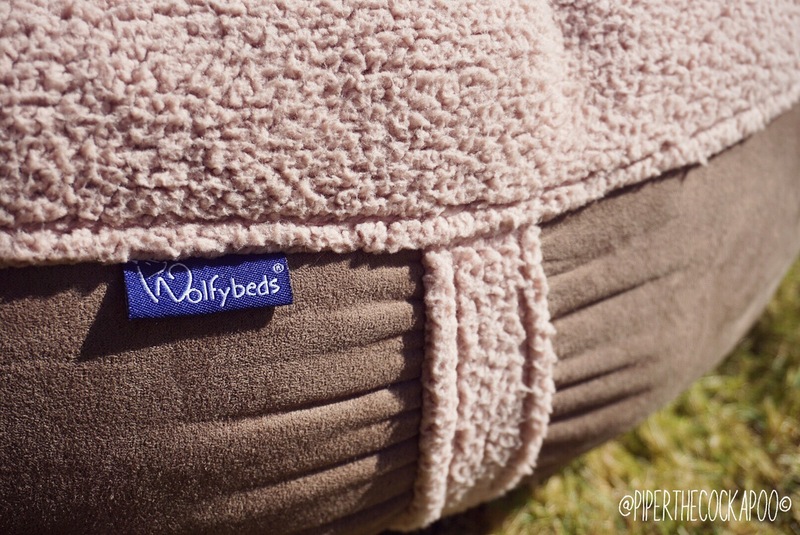 We hope you’ve enjoyed reading about our experience Wolfybeds & that it hasn’t made you too tired! Next Post 10 Facts About Piper!